What is 3 on 3 Lacrosse? 3 on 3 lacrosse is a very fast paced game played on a 25yd by 35yd "Half court" field. It combines aspects of box & field lacrosse while incorporating key attributes from basketball, soccer, hockey, football and tennis. We started playing this style to help players learn how to move efficiently and correctly on the field, while also significantly diminishing the learning curve for new players trying to get a taste of the game. Playing this style makes the game very easy to get a grasp of, and find the openings on the field. 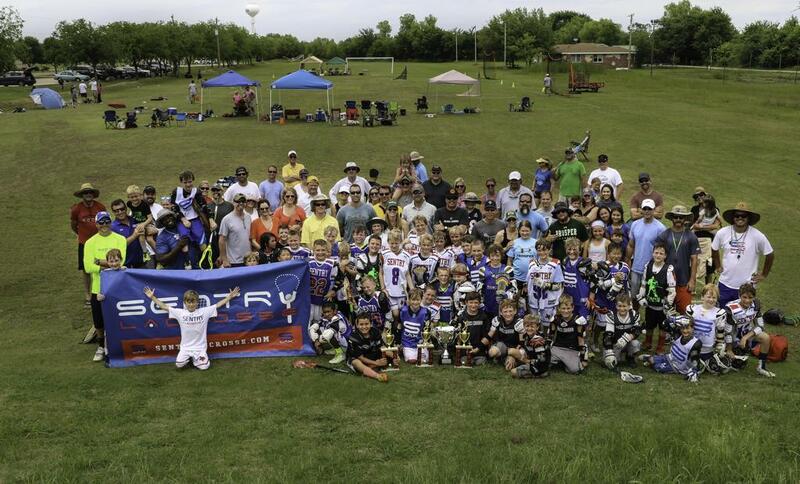 3 on 3 lacrosse is all about having fun, and playing fast. That fast-paced mindset isn't only for the offensive side of the ball, though. It also feeds directly into how the game needs to be played defensively. By playing in this 3 on 3 setting our players ability to rotate and communicate while playing defense has improved dramatically. The quickness of the ball forces players to pick things up on the fly or face the consequences. Lastly, there is no goalie in the net, so no matter a players' offensive prowess he can still be a highly effective weapon on the field. Each net will have an intimidator in place of a goalie. Sideline: The sideline where the substitution box will be is at the top of each playing field. Teams will be on opposite sides of the field. Time outs: No time outs. Horn: There will be 2 horns, first one to start the game and the last horn to end the game. Start of each game (Face-off): Each game will start off with one face-off behind the cage. (Players backs to sidelines) Other players must stand above the "take back line" until possession is called. *Teams need to clear the ball past the take back line and complete one pass before they will be "loaded". Crease: During a face-off before possession is called, only face-off men are allowed to enter the crease to gain possession. Once possesion is called normal offensive and defensive rules apply. The defensive team can enter the crease. The offensive team can not. Loaded: The term "loaded" will be called once your team has made a pass, while on offense, and you are allowed to shoot/score. "Take Back" "Take Back" is called when possession changes. The team gaining possession of the ball needs to take the ball back to the "Take Back" line (i.e. 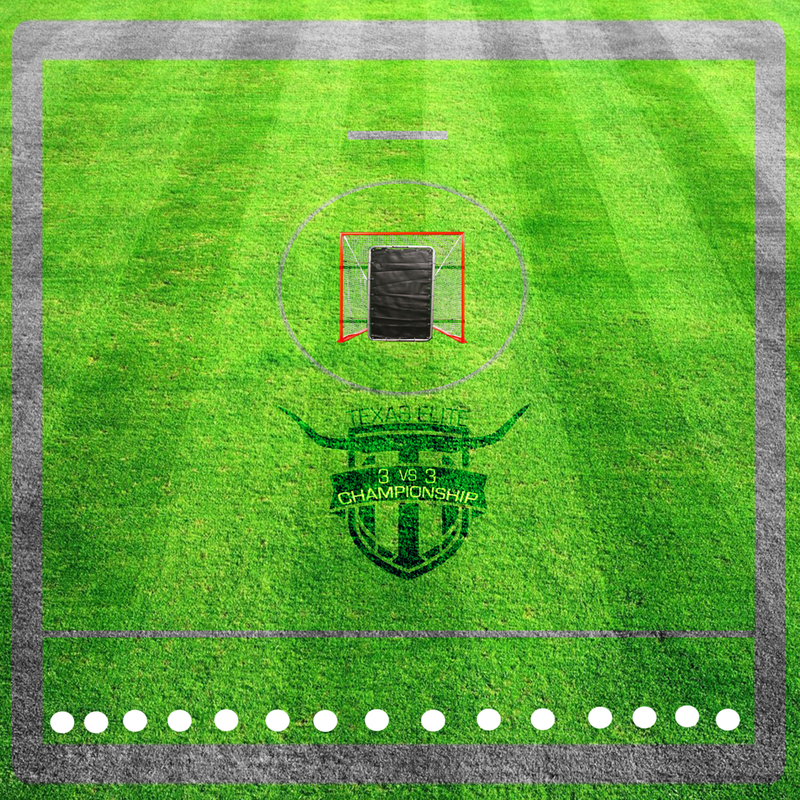 when a ball hits the ground or goes out of bounds) The player with posssession of the ball must cross the "Take Back" line with at least one foot. Passing after "Take Back" In order for a pass to count, so a team will be loaded, at least one player must be below the "Take Back" line. No passes will count where two players are above the line after a "Take Back" dead ball restart. (i.e. after a goal, ball goes out of bounds). This is different from a "Take Back" after a change of possession in game play. Change of possession: If a team drops the ball or shoots and doesn't score, and the other team gains possession, the team that has possession must take the ball to the "Take Back" line before going to the net. Out of bounds: After the ball goes out of bounds, the opposing team gets possession above the take back line. Shots: When a shot is missed the player closest to where it went out gets possession and starts with the ball above the "Take Back" line. If no change of possession occurs, the team on offense is still "loaded"
Goals: After each goal that is scored the ball remains in the net. The opposing team has 5 seconds to run to the "Take Back" line where they start off the next possession. After each goal the ball always starts at the 'Take Back" line. Substitutions: After each goal there is a 5 second delay before the team starting with the ball can pass the "Take Back" line to begin the next play. During this time teams can sub players off the field. The defensive team must start all players below the "Take Back" line. *ALL substitutions must happen through each team's substitution box, which is located above thet"Take Back" line. Sticks: No sticks longer than 42 inches. No long poles or goalie sticks! One-handed Stick Checks: NO one handed stick checks. two hands on the stick at all times on defense. Talking to officials: Only head coaches are permitted to address the officials. Referees are going to make to mistakes however, it is important to treat the officials with respect. Sportsmanship Recognition: The tournament will recognize teams that display good sportsmanship over the course of the event. Recognition will be based on sportsmanship observed by certified officials, tournament directors and observations of the tournament staff members after each game and during the day. 3 strike rule for parents/coach: Sportsmanship Spectators/coach: Strike 1: You will receive a verbal warning about your behavior Stike 2: You will be asked to leave the field. Strike 3: If spectator/coach does not leave field, the game will stop and be forced to forfeit game reguardless of score. Keeping/ Reporting scores: Each field will have a designated scorekeeper that will keep track of the scoring throughout the game. After the game, each team's coach will have to sign score sheet at score table. Format 3v3: No goalies, each game is an all-out sprint. Coaches: Each team must have a coach that 18 years or older coaching. Registration Coach Registers team and pays registration fee. Players register for free and give coach money. Dress Code Teams must have reversible pinnies with a dark side and a light side (MATCHING preferred). Field size: 30 yards by 30 yards. The goal is 15 yards from the end line. Championship Prizes 1 Championship trophy per division. Winners will have their team name forever placed on the main championship trophy.